I got my X8 for less than a week now and I love it so far.. By the way for those of you who don't know there is a gingerbread launcher app in the market if u install it I think u will love it because it removes SE home screen and u will get Android 2.3 home screen on your phone which means u can put as much widgets as u like on your home screen and no more four corner keys.. 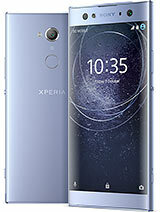 I just puchased xperia X8 yesterday. can somebody tell me how to show the keypad for MULTITAP sms entry? i can't seem to have it displayed. thanks! actually it doesn't have any front camera for video call. sneha , 11 Jan 2011plz tell me anyone which is better sony ericsson x8 vs samsung s5560 ?? ,,,,,plzz@sneha- s5560 is a nice fone wit 5mp auto-focus cam wit multi mode which hs gr8 results whr as x8 hs nly 3.2mp fixed focus cam, s5560 wrks on java platform which z vry old whras x8 hs android os its latest, its hs 3g bt no secondry cam dt means u cnt make video cal, dn y to buy a fone wich hs 3g bt nt all features of 3g. as there is difrnce btwn d price n features of d fones, nw d decision is urs. what mostly effect when playing games (high graphic games), ram or processor? thanx..
Yeah, SE Xperia has serious problems with Wi-Fi. i just wan to ask. is this phone wireless connection have a problem? because my phone easy to disconnect and hard to connect to wireless. is there any solution? i use it in a few weeks,but it got some problem like i cant send or accept any messages to/from others even the line is full.some time it will translate the message from chinese become unknown words.did it broken or any problem to my X8? Roar..., 08 Jan 2011Go to SE support website and follow the instruction there on how to update your phone software...im from malaysia.. I just want to know how can I get fifa 10 game.. I already search in market..
but that game not include in market..
i have NFS shift installer... but when install, it state not enough memory....but i still have more than 100mb...any know how to solve? ?